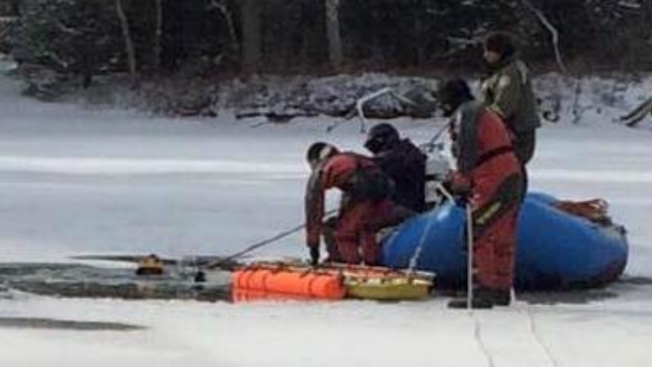 New Hampshire Fish and Game divers have recovered the body of a man after he fell through ice at a pond. The man fell through the ice Tuesday at Pequawket Pond in Conway. Authorities didn't immediately identify him. The body was recovered Wednesday. Authorities say another man heard his cries and attempted to rescue him, but also fell through the ice. He was able to pull himself out.